Eye Care Associates is pleased to offer a wide range of optometric services, eye care products including eyeglasses, specialty eyewear, frames, and contact lenses. Our staff is happy to help however we can. Dr. Boulieris first attended optometry school at the age of 10. It was a snow day and the elementary school was closed. Her mom was a student at the Illinois College of Optometry, so she packed Helaina up with a Nancy Drew book and took her to class. The book was quickly set aside as she started to listen to lectures about optics, eyeballs, and diseases. A love of vision had begun. Ninth grade found Helaina working after school and in the summer at her mom’s new Moses Lake Vision Center. As the only employee, she would answer the phone, make appointments, help people pick out glasses, buy frames, run some testing, mow the lawn, and balance the books. All these were great skills to have when she eventually went to optometry school herself. Dr. Boulieris graduated from Upper Columbia Academy in Spangle, Washington and then was an honors graduate from Walla Walla College. She attended Southern California College of Optometry in Fullerton, California. She was a member of the Beta Sigma Kappa Honors Society, and earned awards in children’s vision and low vision. Dr. Boulieris graduated “With Distinction” in 1998. After graduation, Dr. Boulieris and her husband, Brent Stanyer, moved to Spokane. She bought a practice from retiring doctor, John Smith and renamed it Eye Care Associates. Dr. Boulieris and her husband have three children and a schnoodle. She plays the oboe and loves to sing. She is the counselor for the teenage girls in her church’s Pathfinder (scouting) Club, so she can indulge in making s’mores and having sleep overs even though she is grown up. She loves to make things—-especially quilts. She still loves to read. Her passion is long-distance hiking (although she is very slow). She has nearly completed hiking the Washington portion of the Pacific Crest Trail. 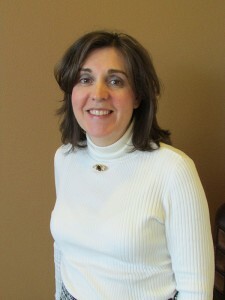 Patti joined Dr. Boulieris in 2011 as her office manager. Patient care and satisfaction is top priority. She and her husband Dave have been married 36 years and have raised 3 children here in the valley and now have 5 grandkids. When not enjoying time with the family she and Dave are usually cheering on the Zags and Eastern Eagles, spending time in the yard, or at the family cabin picking huckleberries and boating. Breanna is currently studying at Spokane Community College to earn her AA before transferring out to a university. She has been working for Dr. Boulieris for over a year, and loves to meet new patients and see familiar faces. She loves providing a warm and welcoming environment to our patients. In her spare time, Breanna’s hobbies include taking her two dogs, Maui and Woody, out for runs and hikes all over Eastern Washington, and spending time with friends and family. Kayla is our licensed optician with over 5 years of experience in the optical industry. She was born and raised in Spokane. Her expertise includes fitting contact lenses and assisting patients in selecting the perfect eyewear. During her time away from work she loves being outdoors and enjoys hiking, backpacking, playing volleyball and spending time with her newly started family. My name is Rose. I’m from the Chicago suburbs. I’ve spent the last three years working in Retina in Colorado. I became certified in 2015 as a COA. I like to read, knit, go hiking, bake, and cook. I love to learn as much as I can about eyes. The best part of my job is patient care!